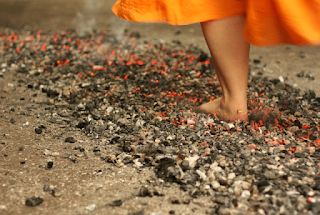 Mergify: How do people walk on burning coal ? 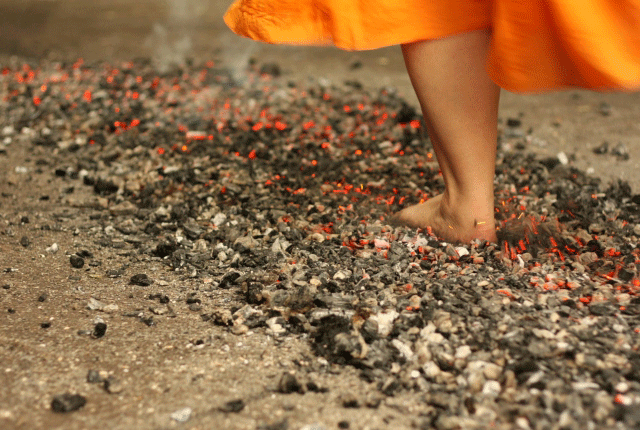 Walking on burning coal has been a ritual since a long time, not only in Indian culture but also in Greek, Chinese civilizations. When we think about how one can do this, it would be very interesting to know that experts walk without even a burn or a scratch. Let us now see how people can do this. 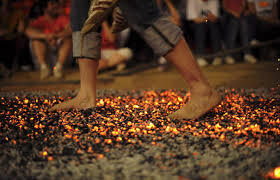 Usually people wet their feet abundantly before walking on burning coal. When they start walking on the coal, this moisture (may also be due to sweat) evaporates and forms a protective gaseous layer beneath their feet. It is called the leidenfrost effect. They also kill time for something around 20 minutes before they actually walk across the coal bed, so that its temperature cools down to 1000 degrees Fahrenheit, which is still enough temperature to burn your feet ! In reality they are walking on a protective layer of water vapour, which has low heat capacity and poor thermal conduction. 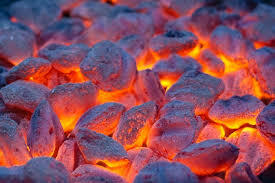 Moreover, coal or wood embers being bad conductors of heat will not pass heat as efficiently as metals do. Ash also acts as a protective layer. The skin of human feet is a bit coarse. It is of a different texture from the rest of the body and has the capacity to withstand the temperature of burning coal for a few more seconds. One should walk quickly instead of running. When a person runs, he exerts more pressure on the ground and in this case, coal particles can stick to our feet causing pain. Every step should take half a second or less. One should never stop for any reason while he is walking. An important question here is, why do people do this ? Is it a blind belief ? Well, people have different answers for this. But if we ask those who have done this, there are quite interesting answers. They do it because it is a task questioning your self-confidence. It would be better to listen to them directly so here is a video of BBC who have interviewed a group of people doing this. Let me mention a word of caution in this context. I suggest not to try these without proper guidance of experts. That might be dangerous !